The probability, expressed as a %, of a flood event occurring in any year. A large flood which may be calculated to have a 1% chance of occurring in any one year is described as 1% AEP. The process of defining objectives, examining options and evaluating costs, benefits, risks, opportunities and uncertainties of a scheme before a decision is made. A layer of rock beneath the ground which is permeable and holds groundwater. Flood risk assets are structures which are used to manage flood risk e.g. defences such as walls and embankments, pumping stations, culverts, trash screens, flood gates, and channels. Operating our assets means activities like closing flood gates, operating pumps, closing barriers and clearing channels and trash screens. The slow release of stored water or water runoff back into a surface water body or watercourse. The basic payment scheme was set up to help the farming industry. It is the biggest of the European Union’s rural grants and payments and is for farmers who own at least 5 hectares of agricultural land and “5 entitlements”. They can apply once a year in May and if granted, begin to receive payment in December. It ensures that farmers receive their main business income by acting as a safety net. A plan which collates all of the information needed to help keep your business afloat during and after a flood or other emergency event. A natural or artificial process by which carbon is removed from the Earth’s atmosphere and stored in a liquid or solid form over a long period of time in order to delay global warming and avoid climate change. The total area of land, including hills, mountains and woodlands, within a drainage basin where water drains and is collected before flowing into streams, rivers, lakes and tarns. Collaborative working at a river catchment scale to deliver cross-cutting improvements to our water environments. This is a joint initiative between the Environment Agency and Natural England and funded by DEFRA and the Rural Development Programme for England. 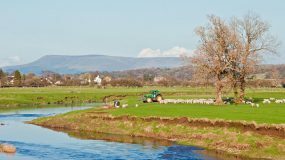 The initiative raises awareness of diffuse water pollution by providing free training and advice to farmers across certain areas in England with an aim to improve the environmental performance of farms. The removal of material from the coast through tidal currents, wave action or human activity. This results in a landward retreat of the coastline. Unique and bespoke schemes in certain areas which aim to increase a community’s resilience to flooding. 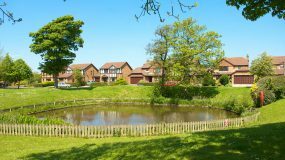 They can be as big or small as required to suit the community and most schemes will require a flood survey to be carried out. A floodplain can only serve as a floodplain to a river if they are connected and there is no barrier between the two, for example, concrete banks to encourage a faster flow through an area. By removing barriers and improving connectivity, the river is able to flood and water and material flows and is deposited on the floodplain, as opposed to further downstream creating a flood risk elsewhere. To transport water from one place to another e.g. by means of a river flowing. The Countryside Stewardship scheme is a Rural Development Programme for England grant scheme which provides financial incentives for farmers and land managers to look after their environment. A covered channel or pipeline used to continue a watercourse or drainage path under an artificial obstruction, such as a road or railway. Defra is responsible for safeguarding the natural environment, supporting the world-leading food and farm industry and sustaining a thriving rural economy. They also have overall national responsibility for policy on flood and coastal erosion risk management, and provides funding for flood risk management authorities through grants to the Environment Agency and local authorities. An asset, structure or feature on your land can be classed as a “designated” flood risk management asset if it helps to manage the risk of flooding or coastal erosion. It can be natural or man-made and will require permission and consent from the responsible authority to replace, alter or remove it. The total area of land drained by a river and its tributaries. Drainage systems can either be natural or man made. Natural drainage systems are all of the rivers, streams and other tributaries in a drainage basin that collect water and precipitation. Man made drainage systems include agricultural drainage systems, and urban drainage systems which dispose domestic and industrial sewage or waste water. The removal of materials from the bottom of rivers and other watercourses with a dredger to transport it elsewhere, for various purposes including increasing the capacity of a watercourse to carry water. These can be set up and opened at the time of an emergency event, such as a flood, to provide an area in which you can evacuate to if needed. They can provide support in the form of food, drinks, a bed, blankets, first aid etc. A government body which was set up in 1996 to protect and improve the environment. They’re responsible for waste management and regulating major industry, treatment of contaminated land, fisheries, water quality and resources, river, estuary and harbour navigations, conservation and ecology and managing the risk of flooding. This is the loss of water through evaporation at the surface, e.g. in soil and through transpiration from plants. The temporary overflowing of water on to an area of land which is usually dry. A group made up of local people who are volunteers and act as representatives for their wider community. They work together to reduce flood risk and increase flood resilience in their area by identifying key issues and creating community flood plans. 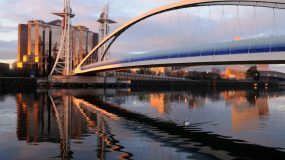 They often liaise with external authorities and agencies who manage flood risk. Activities to reduce the risks (likelihood and consequences) of coastal erosion or flooding from rivers and the sea, to people, property and the natural environment. 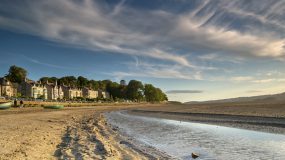 Funding provided by central Government for flood and coastal erosion risk management. This funding is allocated nationally by the Environment Agency on behalf of Defra. It provides both revenue funding for the Environment Agency’s FCERM function including maintenance of flood risk assets, and capital funding for new flood alleviation schemes. All risk management authorities can bid for this Grant-in-Aid funding. This strategy needs to be followed by local authorities, water and sewage companies, internal drainage boards, highway authorities and the Environment Agency. It is “a statutory framework that will help communities, the public sector and other organisations to work together to manage the flood and coastal erosion risk.” It makes sure that risks are managed across catchments and stretches of coast. A structure or system of structures built to alleviate flooding from rivers or the sea. The largest discharge of water during a flood at a certain point in a river. Also known as peak discharge. The area of land directly adjacent to a river which experiences flooding during periods of high discharge, and is made up of deposited sediments from a river during a flood. Physical measures put in place that aim to reduce the damage that is done once water has entered a building. Physical measures put in place that aim to prevent flood water entering a building. Determined by the frequency or likelihood of a flood event happening, and the consequences of the flood if it did occur. 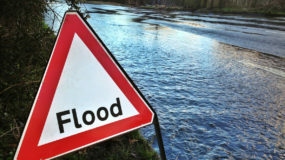 This is an assessment which includes the flood risk to an area from varying sources of flooding, along with the identification of flood mitigation measures and advice on what courses of action to take both before and during a flood event. This is a plan that explains the risk of flooding from rivers, the sea, surface water, groundwater and reservoirs. It enables risk management authorities (RMAs) and members of the local community to work together and outline how they can effectively manage flood risk over the next six years. A plan put in place to alleviate and reduce the risk of flooding. Volunteers from the local community who help the community to become more resilient and understand their flood risk. They act as the eyes and ears of the community and look out for blocked drains, fallen trees, or anything that could increase flood risk, and report issues to the relevant people. These zones signify the probability of river or sea flooding in a particular area. The probability values ignore the presence of any flooding or sea defences. This means river flooding, and is when a river bursts its banks and overflows as a result of sustained or intense rainfall. Cages made of wire filled and with earth, stones or other material, which are used to strengthen and retain slopes, and prevent erosion. These are made up of synthetic materials such as polyester and polypropylene and are permeable fabrics and can be used to filter, drain, separate, reinforce or protect soil. An area of visible sediment in a river which has been deposited by the flow, usually when there has been a reduction in energy. There are different types of bars, such as mid-channel bars, point bars and mouth bars, all of which occur in different types of rivers. Highways authorities are responsible for the maintenance of public roads, providing and managing highway drainage and roadside ditches, and must ensure that road projects do not increase flood risk. In England, the highways authority for major trunk roads and motorways is Highways England, and for all other roads and public rights of way the highways authority is usually the County Council or Unitary Authority. This is the process in which water at the ground surface enters the soil in to the subsurface. Public bodies that manage water levels in areas where there is a special need for drainage. IDBs manage water levels for environmental and agricultural needs and work to reduce an areas flood risk to people and property. They also have a regulatory role to keep watercourses clear of obstructions so that watercourses flow efficiently, and they review planning and development in an area to reduce the impact on flood risk. Click here to visit the ADA website. This means a product has been independently tested for safety and confirmed as fit for purpose by the British Standards Institution (BSI). This will be either the District Council, provided it is a Unitary Authority, or the County Council. LLFAs are responsible for developing, maintaining and applying a strategy for local flood risk management in their areas and for maintaining a register of flood risk assets. They also have lead responsibility for managing the risk of flooding from surface water, groundwater and ordinary watercourses. 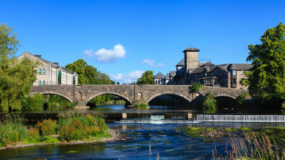 Under the Flood and Water Management Act 2010, the Lead Local Flood Authority (LLFA) is required to produce a Local Flood Risk Management Strategy. It is a high level, statutory document which sets out the LLFA’s approach to reducing the impacts of local flooding across the authority’s area. It also promotes greater partnership working arrangements between those organisations with a responsibility for managing local flood risk and provides a strategic framework within which the various ‘Risk Management Authorities’ must work. Money raised by the Environment Agency from lead local flood authorities. The EA must obtain the consent of the relevant RFCC before it can issue the levy. The levy is used to fund FCERM activities within the RFCC’s region and supplements FCERM GiA funding. This is usually the planning department of the District Council (provided it is a Unitary Authority) or the County Council for your area. They are responsible for deciding whether or not a residential or commercial development can go ahead. Usually larger rivers and streams that are designated as a ‘main river’ on the Environment Agency’s Main River Map. The Environment Agency carry out maintenance, improvement and construction work on these main rivers to manage flood risk. Provided by the government to make the planning system more accessible and less complex by reducing and simplifying the policy pages about planning. It is a guide for local planning authorities and decision makers for drawing up plans and making decisions about planning applications. Natural capital is the sum of our ecosystems, species, freshwater, land, soils, minerals, our air and our seas. These are all elements of nature that either directly or indirectly bring value to people and the country at large. They do this in many ways but chiefly by providing us with food, clean air and water, wildlife, energy, wood, recreation and protection from hazards. Natural flood management (NFM) involves using various techniques to restore or mimic natural functions of rivers, floodplains and the wider catchment. It aims to store water in the catchment and slow the rate at which water runs off the landscape into rivers, to help reduce flood risk to communities downstream. NFM can also be known as working with natural processes, slow the flow, sustainable land management or upstream management. The natural differences with time in the flow rates of rivers and the levels and volume of water in rivers and surface water bodies such as lakes and reservoirs which are often repeated in time, for example, seasonally. Any non-profit, voluntary citizens’ group which is organized on a local, national or international level to address a social or political issue. The water within the channel is diverted using an intake structure and stored in a separate area. The water is then released back into the river or to another watercourse using an outlet structure. The separate storage area may be in the form of a reservoir and is usually situated on the floodplain. This is the temporary storage of water within the river channel and its flood plain. The water may be held back by an impoundment structure and slowly released by a flow control structure. A spillway may also be used to slowly release larger volumes of flood water. These include watercourses such as rivers, brooks, becks, ditches, streams, leats, goyles, rhynes and culverts. The Lead Local Flood Authority or the Internal Drainage Board are responsible for flood risk and flood defence works on these watercourses. Peat is made up of decomposed plant material that has formed in a water-saturated environment without the presence of any oxygen. It is made up of around 30% of dead organic material. An area with or without vegetation which has a surface layer of peat at the surface is called a peatland. Equipment which will protect the user against potential health and safety risks at work, for example, this can be in the form of high visibility clothing, eve protection and safety footwear. The narrowing of a river channel caused by accumulation of silt. This was published by the Government in March 2014. The aim of it is to ensure that “the planning system allows land to be used for new homes and jobs, whilst protecting valuable natural and historic environment.” Over 7000 pages of planning guidance used to be in separate documents and it is now on one single hard copy, online and it should be read alongside the National Planning Practice Guidance. These aim to improve the overall woodland biodiversity. PAWS are sites in which the original and natural woodland was cleared and a plantation of either native or exotic species was put in its place. Also known as surface water flooding, this type of flooding occurs when there is intense rainfall which saturates the ground and drainage systems and excess water cannot be absorbed. This is the overarching term used to describe both flood resistance and flood resilience measures that business and property owners can put in place to protect their property against the impact of flooding. This was established by the Environment Agency under the Flood and Water Management Act 2010 that brings together members appointed by Lead Local Flood Authorities (LLFAs) and independent members with experience. The Environment Agency must consult with them in regards to flood and coastal management work in their region and take any comments made into consideration. The area related to or at the edge of a river. Somebody who has a watercourse, such as a river, stream or beck, which runs alongside the boundary of their property, under it or through it. They are responsible for maintaining the river bed and banks for the section of the watercourse which is on their property. Also known as a ‘watercourse owner’. They are the Environment Agency, Local Authorities and Internal Drainage Boards and they are each responsible for managing flood and coastal erosion risk. To do this, they receive funding from DEFRA through grants. The risk management authority for main rivers in the Environment Agency, for ordinary water courses, the risk management authority is your lead local flood authority, which are either unitary authorities or county councils. The Rivers Trust Movement is the main body of over 60 Rivers Trust members across the UK and Ireland. They work to protect, promote and enhance the countries freshwater ecosystems for both people and wildlife and work with communities to promote a sustainable future for river environments. The excess water that the land cannot absorb which flows over the surface or via through flow into rivers and streams etc. Runoff can be produced from both natural processes and human activity. Defined as a man-made landscape feature that alters and attenuates flow. The main aim of them is to slow, store and filter run off in rural areas and they provide benefits such as flood management and improved water quality through intercepting and attenuating a hydrological flow pathway. These are a requirement of the Flood and Water Management Act 2010. Once a flood has occurred in an area, a section 19 report is carried out which investigates which risk management authorities have relevant flood risk management functions in place and whether they have been acted upon or planned to be carried out in response to a flood. It also identifies the flooding mechanisms and causes, and any results found from the investigation must be published. Ponds built to trap the sediment in runoff so that sediment accumulates in the pond as opposed to in local water courses, which can increase flood risk. A large-scale assessment of the risks associated with coastal processes and a ‘route map’ for decision makers to move from the present situation towards meeting our future needs. SMPs identify the most sustainable approaches to managing the risks to the coast in the short term (0-20 years), medium term (20-50 years) and long term (50-100 years). The process by which water in a surface water body becomes filled with suspended silt, soil and sediment and appears to look “dirty”. This has a negative effect on the biodiversity of the water body and can cause blockages from the amount of material in the water body and block the sunlight out of it. Areas protected by law to conserve their geology or wildlife. If land has been identified as an SSSI, you will be required to gain consent from Natural England before carrying out certain activities. They can be used in neighbourhood planning to decide whether areas in a particular neighbourhood are suitable for development. The alteration, restoration and general use of landscape features to manage and reduce flood risk to downstream areas. (This may also be known as ‘natural flood management’ or ‘upstream management’). Also known as small and medium-sized businesses. These are enterprises or businesses which employ less than 250 staff members, have an annual turnover that does not exceed €50million and an annual balance sheet total not exceeding €43 million. Areas that protect one or more habitats and/or species – terrestrial or marine which are listed in the EC Habitats Directive. As of November 2017, there were 658 designated SACs in the United Kingdom. The aim requires the establishment of high-quality conservation sites to help conserve the 189 habitat types and 788 species identified in the Directive. The minimum height or amount of time a measure or equipment has to serve its purpose before failing. A change in sea level that is caused by high winds and low pressure systems associated with a storm. An assessment of flood risk in an area and the risks to and from neighbouring areas. It is used to aid in supporting and helping with planning decisions. This is water that falls as rain and collects on the ground surface, before flowing into drains and gullies or percolating into the ground below. These mimic natural drainage patterns and manage rainfall and run off close to the source. They manage the transport of water, the speed of run off before it enters water courses, they can be designed to store water and allow it to infiltrate into the ground and allow for evaporation and transpiration. Two rivers in a catchment containing the largest amount/volume of water they can hold during a flood at a certain point in a river at the same time. One level of local government in some large towns, cities or small counties which provide all local services for the area. They act as the lead local flood authorities (LLFA) and are responsible for managing the risk of flooding from surface water, groundwater and ordinary watercourses in that area. The water and sewerage company serving the North West of England. United Utilities are also a flood risk management authority. This includes all rivers, streams, ditches, drains, culverts, dikes, etc. through which water flows. A watercourse owner owns the stretch of a particular water course, such as a river or stream etc, which either runs on or under your land or on the boundary of your land, up to the rivers centre. Also known as a ‘riparian owner’. Used to fund improvements to the water environment. It is part of a scheme developed by the Environment Agency, Defra, Natural England and Rural Payments Agency under the Rural Development Programme for England (RDPE). A framework which protects inland surface waters, coastal waters, estuaries and groundwater through set objectives. 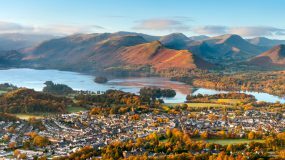 It is delivered through River Basin Management Planning in which areas of the UK have been split into a number of River Basin Districts (RBDs). The level below the surface of the ground at which water can be found. Educate people about the natural world. The trust has 800,000 members and together, the Wildlife Trust cares for 2300 nature reserves, which vary from inner city nature parks to remote woodland and they save and protect wildlife. They also run marine conservation projects around the coast. There are 47 Wildlife trusts across the UK. Working with natural processes uses natural measures in both rural and urban areas to help restore, protect and mimic the natural functions of catchments, rivers, floodplains, estuaries and coasts to help reduce the risk of flooding and coastal erosion.